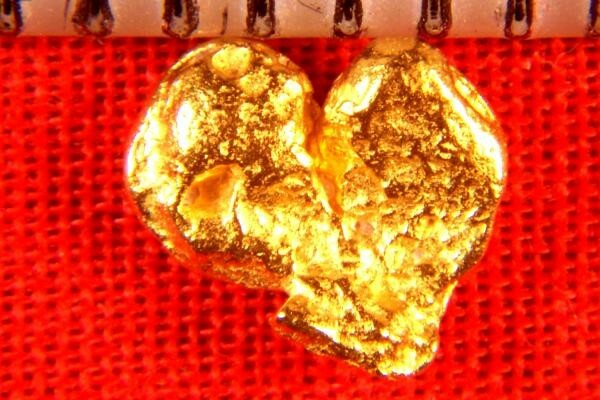 This is only the second heart shaped gold nugget that I have ever seen. It is a multi-crystal gold specimen and it comes from an extremely rare location in Zapata District, Santa Elena, Venezuela. 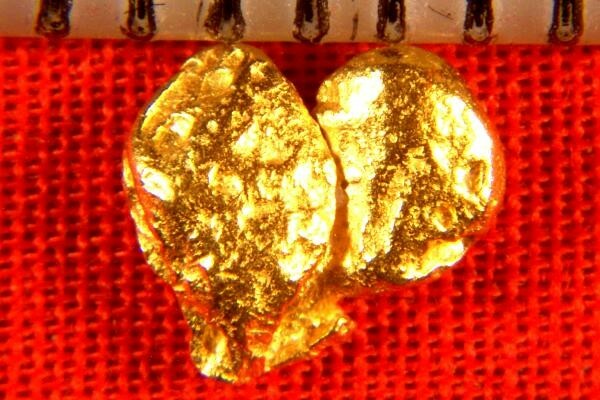 This fantastic gold crystal nugget is 1/4" (6 mm) long. The weight is 10.7 Grains (0.70 Gram). It has amazing color and would make a wonderful gift or addition to your collection.